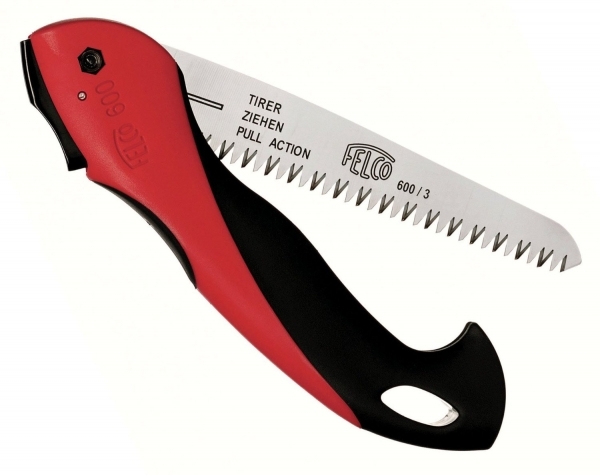 FELCO 600 is a folding pull-stroke pruning saw. Reliable, strong and rust resistant it has a hard-chromed blade made of high-quality steel. Efficient conical blade shape cuts without clogging and the shape of the teeth prevents sap build-up making it relatively maintenance free.